The transient instability of social media serves as a reminder that I should refocus on my personal website as the core of my online presence. Google killed Reader sharing, and then killed Reader. Twitter killed RSS, and clamped down on third-party clients’ abilities to pull and display tweets. Friendfeed and Feedburner are slowly suffocating, Facebook is throttling fan page output in user streams to sell “promoted post” products, Google Plus is, well, Google Plus: like Facebook and other social media sites, an exclusive community designed to harvest user content for an advertising ecosystem, with posts hidden behind login screens and obfuscatory URLs. 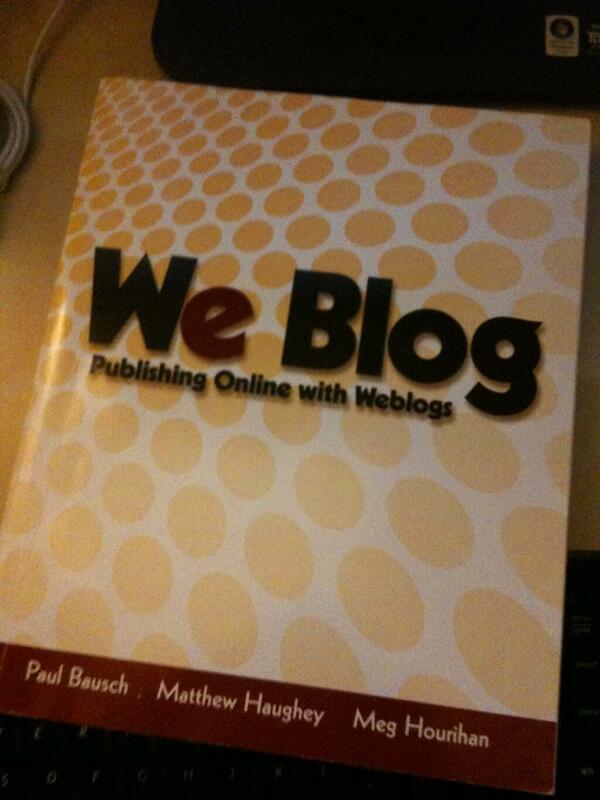 I wouldn’t go so far as to mourn “the web we lost” because that web is still there. Site syndication formats like RSS and Atom persist. Google Reader alternatives exist. You can still install WordPress or Movable Type or Anchor. To varying degrees, other platforms like WordPress.com, Blogger, Tumblr, Typepad, and even Livejournal and Xanga still give the user control and portability that would otherwise be ceded to walled-garden social networks — but beware, free and paid are both getting dangerous, even for well-established publishing products. Anything you don’t host yourself is at risk. Just look at Geocities. For too long I was relying on a sidebar showing a Friendfeed stream of Google Reader Shared Items to keep this site fresh: a lazy set of hacks that proved to be a tenuously poor content strategy. A Twitter badge isn’t much better. I’m not abandoning Twitter, nor am I going to turn to a Twitter auto-RSS bot, but I’ve started doing manual “Recent Reading” link dumps from things I’ve liked on Instapaper, and I’m forcing myself to actually write entries first rather than start by throwing ideas up on Twitter and then forgetting them for having already been posted. It takes a little more time and energy but pivoting back to owning my web presence and content is worth it. Writing is a form of creation and a path to reflection, and even manually curating a linklog by typing out the HTML for a link and briefly describing it carries with it a more editorial profundity than just clicking “Retweet” or “Reblog.” Even finishing this entry felt a lot better than just tweeting a link to the Hanselman post that prompted all this rumination.